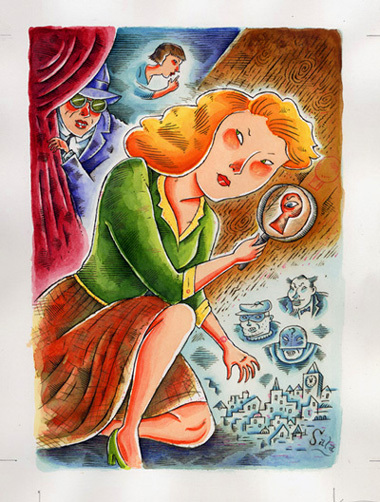 First portrait done (as a promotional piece) depicting a girl detective who would later become Judy Drood ("Mad Night"). 6"x8" on 9"x12" watercolor paper. Watercolor & ink.